I found this picture in an antique store and I got to wondering... It wasn't hard to find out what their unit did and where they served their country in WWII. But I wondered if it would be possible to identify and honour each man who contributed to the unit's success. So: the Mission of this website was defined: to identify each man who served in No. 111 (F) Squadron and to tell something of his story, his experiences and his sacrifices. You can help.... please. The men of RCAF No. 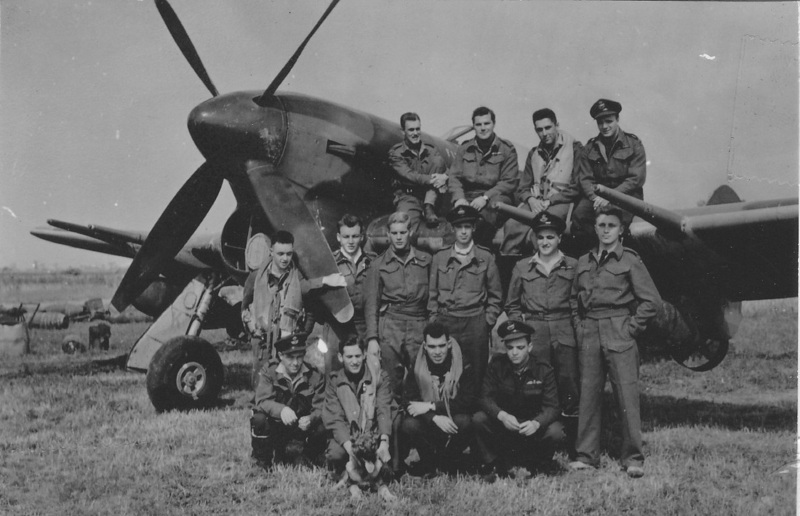 111 (F) Squadron were Canadian heroes. Not so much because they behaved heroically, although many did that, but because they endured impossibly uncomfortable conditions and did the work required of them as they stood on guard for us. The Squadron picture (shown at the top), taken on March 3, 1942, showed 115 men present. I have pulled thumbnail cameos of those men and, so far, I have put names to 82 of them, although some of the identifications are very tentative. But there were many who joined 111 after the picture was made. At the Squadron's peak of activity in April, 1942, the Squadron Daily Diary showed that they were 175 strong. In fact, in its short history (between November, 1941 and January, 1944), the Squadron, averaged 150 people every month. Considering a hypothetical 5% per month turnover rate, there could have been up to 350 men associated with the squadron as it carried out its mission in Alaska. I have found no evidence that any women served in 111 Squadron. So far, I have found 315 names of men who served in No. 111 Fighter Squadron during the period of the Alaska Campaign. I have pictures and some story for 205 of them. The Daily Diary showed that, in the final couple of months, most of the people who had been with 111 in Alaska and the Aleutians had been re-assigned (to training programs, to other Air Force Stations or to prepare to go overseas). So there were a lot of people who were brought in as replacements in the last few months of its existence as No. 111 (F) Squadron. I am including those servicemen in this site. They were, after all, members of 111 Squadron, no matter how briefly. 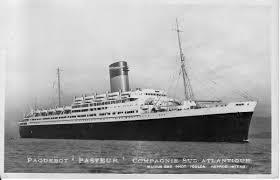 I have recently found the Passenger Manifest for the S.S. Pasteur, a French ocean liner converted to troop carrier, for January 20, 1944, leaving Halifax, Nova Scotia for Liverpool, England. Aboard were thousands of servicemen They were to join the huge massing of troops preparatory to the D-Day invasion. 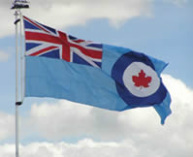 RCAF No. 111f Squadron had 126 squadron members on board. Of these 126 men, 49 had been with 111 but 77 were newly assigned and joined the squadron at the wharf in Halifax at the time of departure. I am adding them to this site. The copy of the ship's manifest was very blurry and some of the names were only partially legible. Please help me sort out who these men were. I could read their trade information so I have included these new names in the three categories: Administration, Ground Crew and Pilots. I hope you can find some old friends or relatives in these 3 lists (Administration, Ground Crew, Pilots) and that you can help to identify and add to the stories of the people of No. 111 (F) Squadron. If there is someone you are searching for, enter the name here. Do you have stories of family members who served in 111 (f)? Do you have photos of family members who served in 111 (f)? If you do, please use this website (by emailing pictures or information) as a way of identifying these heroes and honouring them. But I don't have pictures of 108 of them. Help! I have 44 pictures of men who I know served in 111 Squadron but I do not know which name applies to which picture. When 111 Squadron boarded the SS Pasteur bound for England, they were joined by 81 new squadron members. These men have been included in this website even though they did not serve with 111 Squadron in Alaska. Since 111 Squadron didn't become 440 Squadron until after they reached Great Britain, these 81 additions were, however briefly, members. That brings the total to 396. Perhaps relatives will help to supply pictures and information about these men. How did RCAF No. 111 (F) Squadron come into being? Most of us remember that the Second World War was fought in Europe against the Nazis. And that it was also fought in the South Pacific against the Japanese. But what many do not know is that the Japanese brought the War to the North Pacific, as well. The Japanese had become very worried about North America, afraid that their own economic well-being and imperial ambitions were threatened by American strength. The Japanese came to feel, apparently, that they had to do something preemptively to neutralize America’s potential. They created a plan to eliminate American naval power by sneak-attacking America’s navy at Pearl Harbour. Shortly afterward, they attacked Alaska, bombing an American base, Dutch Harbor, on Unalaska Island (in the Aleutian chain) and occupying two other Aleutian Islands. Their Alaskan attacks, it was feared, could be preludes to more destructive attacks on both American and Canadian soil. At the time that Japan was deciding what she had to do, North America was preoccupied by what was going on in Europe. It was becoming evident that Germany was determined to dominate Europe. And Germany’s early efforts were extremely successful. It began to look like Europe was going to be owned by Germany. The situation in Europe was seen, in North America, to be unacceptable. Something would have to be done. Canada was quick to respond. Europe, especially Britain, was at risk and Canada, a member of the Commonwealth, engaged immediately. The Canadian Government began to assemble a fighting force to be sent overseas. Europe was, at that moment, the priority. Part of Canada's contribution was to create Air Force squadrons that could be sent to England to protect the integrity of the Commonwealth. 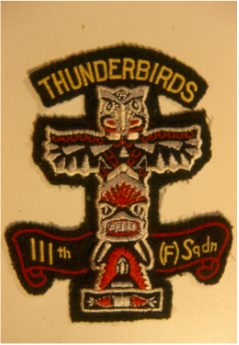 One of Canada's squadrons, 111 (f) Squadron, was formed on November 3, 1941 in Rockcliffe, Ontario. Most of the guys who got assigned to 111 Squadron were from Eastern Ontario. The initial plan was to get the men trained and to send the squadron to Europe. However, the Japanese, by invading Pearl Harbor, Hawaii, on December 7, 1941, shocked the Canadian and American governments into rethinking their defensive strategies. Suddenly, they understood that they would have to protect their west coasts. A U.S./ Canadian alliance was formed. Major projects were funded and started, A highway was built through Canada connecting Alaska to continental USA. Airforce bases were constructed along the coast of British Columbia and the RCAF was mobilized to supply men and planes to patrol the Canadian coast. 111 Squadron was suddenly re-purposed. It would be going west. It left Ottawa at Christmas, in 1941, and established itself at Patricia Bay (near the present site of the Victoria International Airport on Vancouver Island, British Columbia). After a very concentrated training program, they became operational and, for a significant period, they had primary responsibility for air defence of the Vancouver/ Victoria area. The major worry was not that the Japanese would invade but that they would mount surprise raids, shelling harbours and interdicting shipping. Constant patrols were required and 111 was very busy running down "sightings" of suspicious maritime and aerial activity. They flew Curtiss P-40 Kittyhawks which were the fastest, best-armed aircraft available to them in the region. And they were there and ready not a moment too soon. By the following June, Japanese activity had increased in the Aleutians. On June 3 and 4, 1942, a Japanese carrier-equipped fleet launched aerial attacks on Dutch Harbor, an American installation on Unalaska Island. It was supposed to be a surprise attack but the American base had had advance warning. Damage, while substantial (25 lives, many more injuries and nearly 3.5 million litres of fuel destroyed), was not enough to disrupt the functioning of the base. But it did reinforce the American determination to protect the West Coast. The United States began to provide greater protection for their bases there and to attack the Japanese in their newly-developed Aleutian installations. They requested that Canadian squadrons take over the job of protecting the security of the Alaskan coast so they could concentrate on attacking the Japanese. Canada responded by supplying two bomber squadrons and two fighter squadrons. 111 (f) Squadron was one of the fighter squadrons. It was redirected from its assignment to guard the Vancouver/ Victoria area and sent north, to Alaska. They operated initially out of Elmendorf Air Force Base, Anchorage, Alaska. They flew protective patrols around that major U.S. installation. Later, as the fighting became more intense and the initiative was shifting from defence to attack, 111 Squadron was moved forward. Its new tasks were to protect American installations in the closer Aleutian Islands and to join raids against Japanese-held Aleutian Islands. The squadron's headquarters moved to Kodiak Island with temporary detachments located at Umnak, Adak and Amchitka Islands in the Aleutian chain. They served as reinforcement to the USAAF and completed two tours of offensive operations against Japanese forces on Kiska Island. The map came from the Rand-McNally Universal World Atlas, new revised edition. Chicago: Rand McNally & Company, 1988, page 8. It is interesting to note that both the United States and Canada were so unprepared for a campaign on the Pacific coast that the pilots had no other maps except the Rand McNally map editions that were available to school kids at the time. They were at it for two years before our western coasts were finally deemed secure. 111 (F) Squadron's task was completed in the final months of 1943. At that time, 111 (F) Squadron was redeployed to fight in Europe. The whole squadron, on January 20, 1944, dashed across the Atlantic on the S.S Pasteur, a former luxury liner turned troop ship. On January 27, 1944, they landed in Liverpool. They took a train to Ayr, Scotland where, on February 8, 1944, they were given a new squadron number and a new airplane to fly against a new enemy. As No. 440 (Fighter/ Bomber) Squadron, they performed gloriously there, flying Hawker Typhoon dive-bombers but at very high cost. And that is another story. on wing: "Buck" Jenvey, Sandy Colville, Currie Gardner, Frank Crowley*. The asterisk * indicates the pilots who had flown with No. 111 Squadron. Photo is DND PL-31056, from the Collection of Flight Lieutenant (Pilot) Wally Ward who was there. Thank you, Wally. If you would like to learn more about 440 Squadron's time in Europe, see Anne Gafiuk's spectacularly ambitious and growing website: www.thetyphoonproject.org. 111 (f) Squadron's first Squadron Leader was Arthur Deane Nesbitt, DFC. He saw to their training and got them moved from Patricia Bay to Anchorage at which time he was promoted to Wing Commander. Squadron Leader J.W. Kerwin took over. Within a few weeks, however, S/L Kerwin was killed, along with four other experienced pilots, when a relocation flight of seven planes became disoriented in the terrible weather conditions that prevail along the Aleutian Islands. The weather is so treacherous there because the cold Bering Sea air mingles with the warmer Japan Current of the Pacific creating swirling fogs and violent winds. Only two of the seven pilots involved survived the tragic incident. Squadron Leader Kenneth Boomer took over from S/L Kerwin and remained until May 31, 1943. The next to hold this position was Squadron Leader David L. Ramsay who remained almost until the end of the mission. The last Squadron Leader, who saw 111 through its final days, was S/L George J. Elliott. He signed the squadron's final Daily Diary Monthly Summary on November 30, 1943. Flying conditions were extremely difficult and casualties were high. Nevertheless, the Japanese forces were driven back. 111 (f) Squadron was credited with destroying a float-equipped Nakajima A6M2-N "Rufe" (this was the famous Zero but equipped with floats), the only known Japanese aircraft to have been shot down by the RCAF on this continent. This website is an attempt to recognize the people who served in No. 111 (F) Squadron and to show, with pictures and recollections, what it was like to be there for the 24 months it took to complete their mission. They endured hardship, tragedy and isolation. Yet many of the men who served in Alaska remembered their experiences there fondly. I hope, in your visit here, you come to have some appreciation for what they went through in our behalf.